To continue a trend in my reading lately, here is a very helpful book turned into an only mildly helpful audio book. 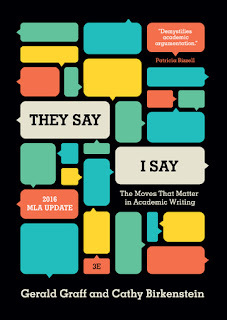 The advice is sound and practical and I can see it making a big difference in how I approach writing for school and work. 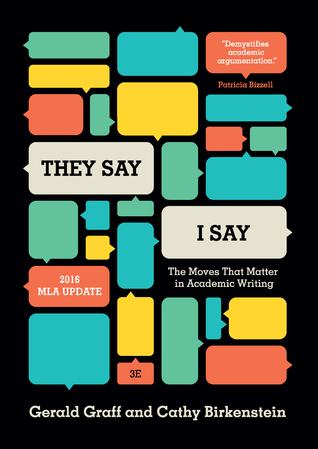 It offers a nuts and bolts approach to academic writing in particular and persuasive writing in general and addresses the subject in a way I've never encountered before. There are multiple templates and examples as well as exercises to let you practice the skills as they are being taught. All of this is great and I did learn a little from listening to this book - but this is a book that should be read and kept around to use as a resource. It was not an entertaining read and the lack of visuals and the inability to keep and refer back to the templates meant that most of the instruction went right over my head. Unfortunately, my library doesn't offer this as a physical book or even an e-book. It's only available as an audio book which seems an odd choice. There is a newer edition due out this month and I considered ordering a copy but don't have the budget for it right now. I'll probably end up getting it one of these days just because I think the templates would be helpful. If you can get your hands on a non-audio version of this book, and if you have any need to write persuasively, then by all means, check it out. It's a good book, but not a good listen. 4 stars for the incompatibility of the message to the medium.